CCM JetSpeed Control “Exclusive” S17 Youth Hockey Skate | Sports Etc. 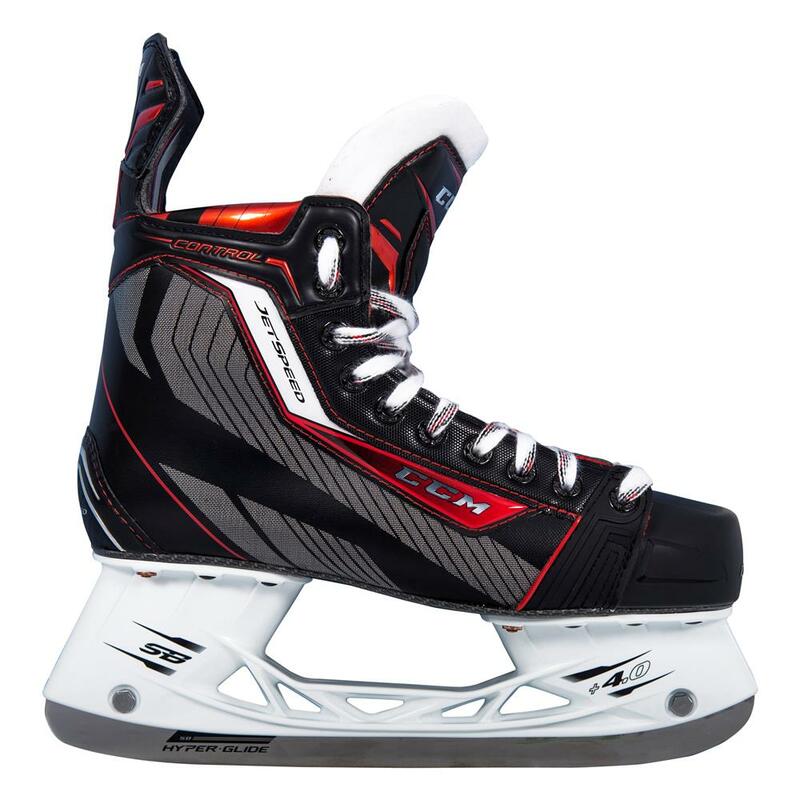 The CCM Jetspeed Control Youth skates are based off of the CCM JetSpeed 250 Youth skates and have added value with high performance features. They are an excellent skate for the younger guys looking to get the most out of their game. The skate features a synthetic embossed shell that provides a durable exterior resistant to skate cuts and abrasions. To work with the exterior a low profile injected outsole reduces weight and helps with energy transfer from their stride to the ice. The tongue of the skate is white felt and features an added molded metatarsal guard for additional protection as well. A red heavy duty microfiber liner adds comfort and durability to the inside of the skate and low density comfort foam help secure the foot into the boot. An upgraded CCM SpeedBlade Pro holder is fused with CCM’s stainless steel to finish the skate and provide a lasting edge in-between sharpening.